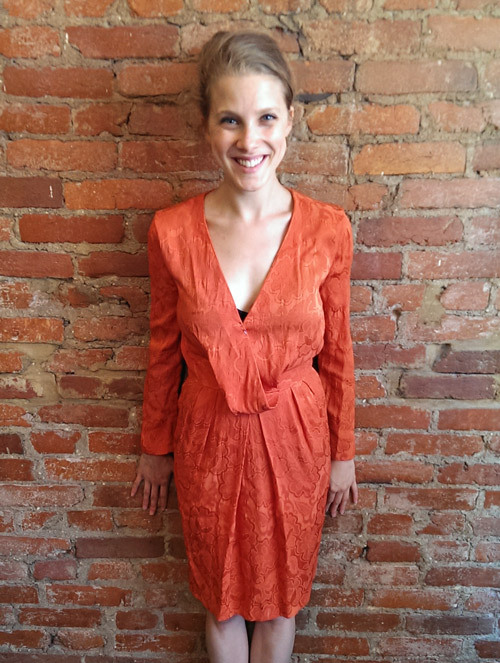 Angie was sent to us from Merecedes Bien after purchasing this amazing orange vintage gem. The dress has so much potential, but the shoulders were too wide and the front was too revealing for what Angie preferred. Mercedes, having an excellent grasp on shape and construction, had already pinned out the idea to resolve the shoulder and chest issues with a very quick tack. Angie and I agreed to do that, and then looked at the draping detail at the waist. There was a belt that went with the dress that was intended to go under/through the drape. While it was a very cool detail, Angie wanted to be able to wear the dress without a belt as well. 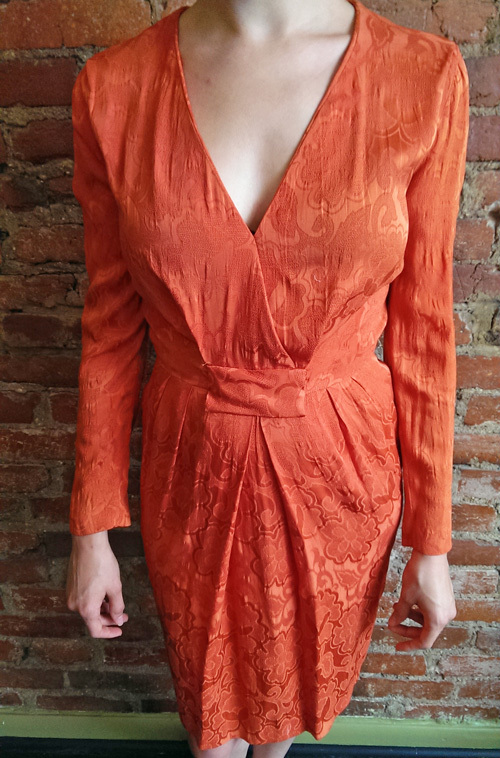 We decided to re-drape the front to control the volume and flatten the waist. We folded all that fabric into a nice little rectangle package that would fit perfectly under a belt, or will look cool on its own! 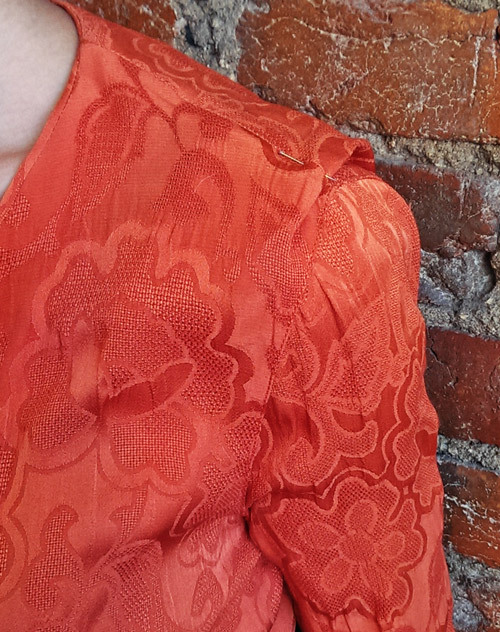 Do you have a vintage dress that needs a few tweaks but you don’t know who do trust? We, Gingers, are vintage wearers and will definitely take the extra care necessary for these garments. After you’ve cleaned your vintage garments, give us a call to schedule an appointment at (202)567-7668 or email us at info@gingerrootdesign.com! AND if you have not been to Mercedes Bien yet, go check it out! She’s open on the weekends in Adams Morgan, has Mens and Womens clothing, AND is right next to Amsterdam Falafel. . . some might consider that a sign. Happy shopping!